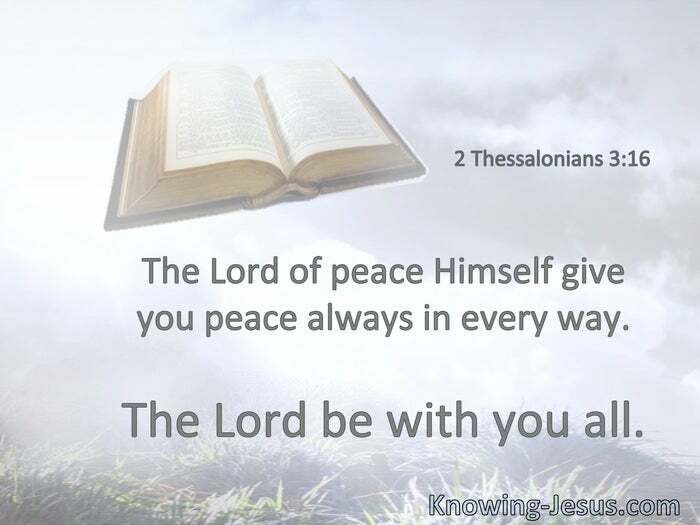 The Lord of peace Himself give you peace always in every way. 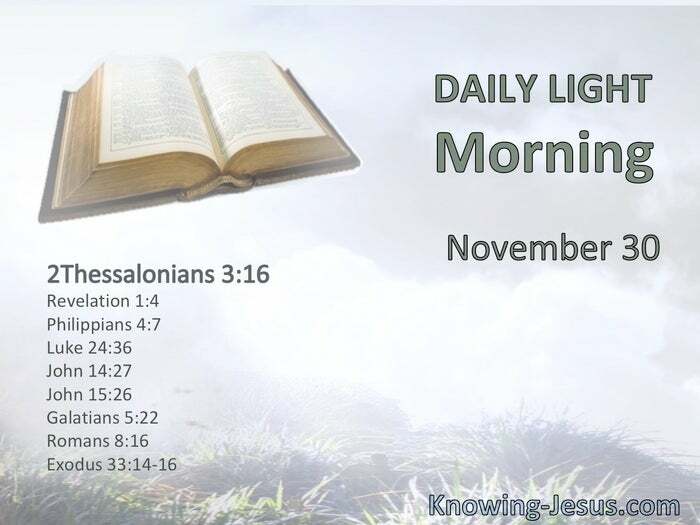 The Lord be with you all. Peace from Him who is and who was and who is to come. § The peace of God, which surpasses all understanding, will guard your hearts and minds through Christ Jesus. Jesus Himself stood in the midst of them, and said to them, “Peace to you.” § Peace I leave with you, My peace I give to you; not as the world gives do I give to you. Let not your heart be troubled, neither let it be afraid. The Helper … the Spirit of truth. § The fruit of the Spirit is love, joy, peace. § The Spirit Himself bears witness with our spirit that we are children of God.